And so, at last to China as we know it. As has been noted, the USA continued to recognise the government in exile in Taiwan (this was, after all, the run-up to the McCarthy era) and so Scott restarts with a #1. 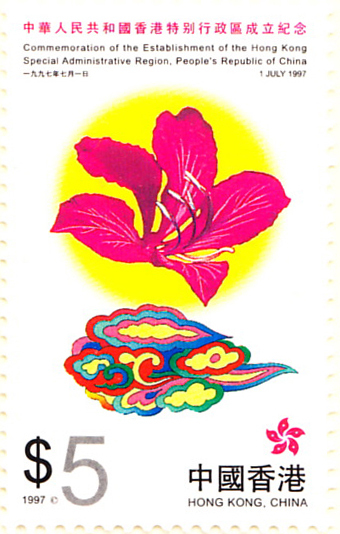 The first stamp is also the first commemorative, the set celebrating the first session of the Chinese People's Political Conference (as did the second set) and so the commemorative shown (although not cheap) is from the third set, a rather fine composite image of Mao Tse-Tung, the Chinese flag and a parade: it celebrates the foundation of the People's Republic. No official. 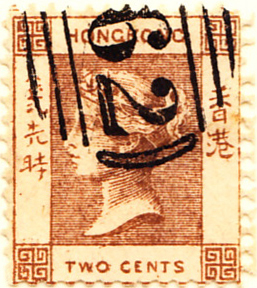 Chinese province - 1886-1895, where Gibbons lists 24 stamps (C1-C24), 22 of which are overprints and two attractive definitives, only used in the north of Formosa. All of these stamps are expensive, in the £00s. Republic - 1895: after the Sino-Japanese war of 1894-95, China ceded Formosa to Japan. The governer, Tang Ching-sun, refused to acknowledge the arrangement and declared a republic with himself as president. Japan sent in troops and the republic lasted only five months. Gibbons shows four designs of the republic's stamps in various denominations (R1-R15), all showing the tiger emblem from its flag. All are moderately expensive and will not be sought. 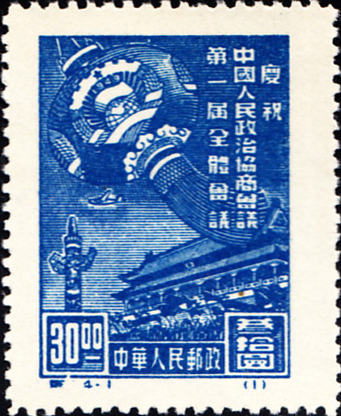 Chinese province - 1945-1949: ... the overprints used at first when control reverted to Japan and much cheaper and so that is the first stamp shown. Chinese Nationalist Republic - 1949 onwards: Chiang Kai-shek and his government rereated to Taiwan and established their capital in Taipeh. They continued to hold the Chinese seat at the United Nations until 1971, when reality reasserted itself. 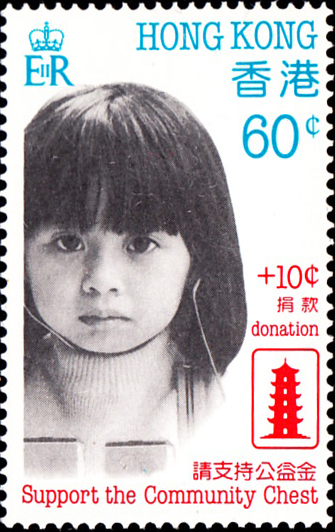 The initial stamps were overprints, the first real stamp appearing in 1950. 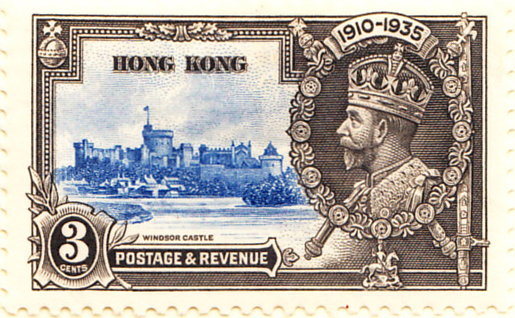 Britain gained Hong Kong from China's defeat in the Opium War of the 1840s. 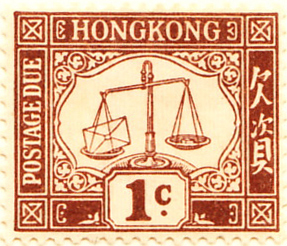 The first issue as a British colony was in 1862, (see Display 6). HK reverted to Chinese control in 1997.